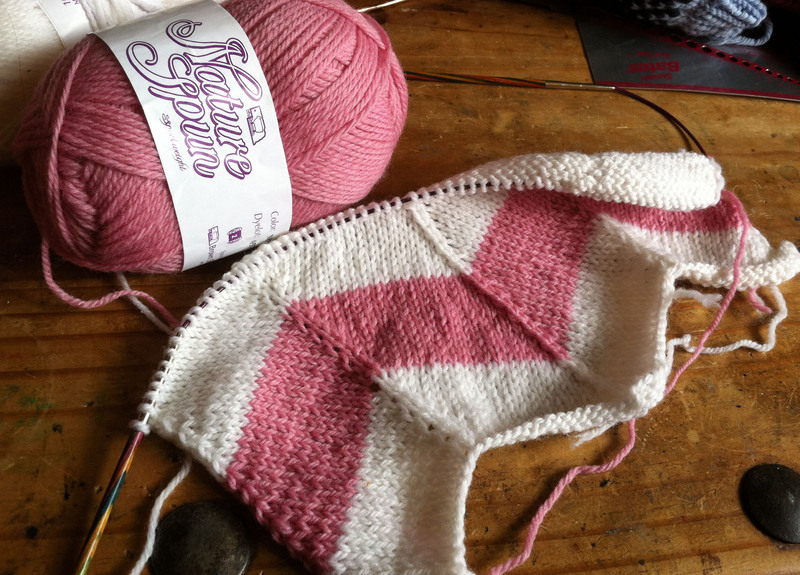 Yesterday I was a bit grumpy, I had been working on the Amy Pond scarf but couldn’t shake the grumpiness. I got into the wander around the house mode to try and figure out what I could do to kick start a good mood. In wandering around the the yarn storage room, also known as our second bedroom, I found this leftover wool from a project a few months ago. I’ve been wanting to try to do a chevron pattern for a while now. 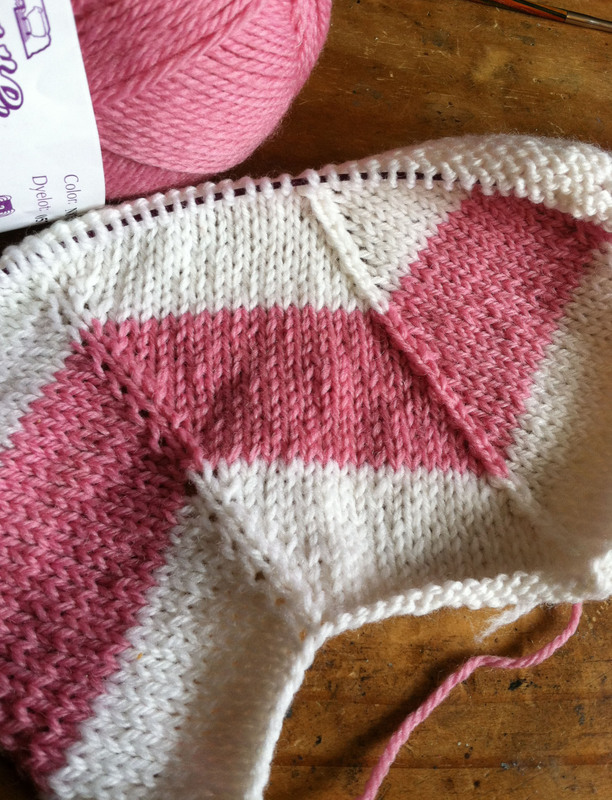 Early on in my knitting history I attempted a chevron blanket and it was a disaster, bit off more than I could chew. It was a strange combination of slants and straights and in a good way. My mom tried to help but she hadn’t done the pattern before either so it was the blind leading the blind. I pulled it out and moved on and forgot about it. Luckily my skills in reading patterns and knitting have improved and nothing like a new project to lighten the mood. It is going much smoother, well chevrony. It will give me a nice relief from having to remember patterns and counting stitches and I’ll have a nice scarf at the end. I had better finish some of these projects soon or my house will be over run by half finished scarves. You are knitting a splendid job. Amazing how far one can come yeah from newbie beginnings? You go.